Solstice is for all who love Ngeringa as we do. People who want to become part of a community with shared values and an innate appreciation for conscious living, sustainability and the tradition of the biodynamic process. Add to CartAdding...Added To Cart! 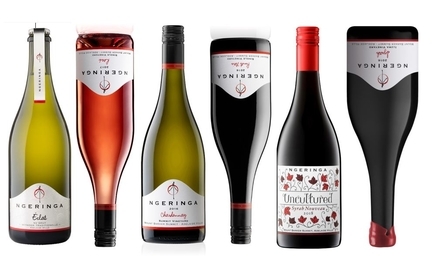 We have put together some of our favourite wines in one 6 Pack at a great value of 20% off our Cellar Door prices. Our finest sparkling – the Eclat , the Summit Chardonnay, Rose, Summit Pinot, the ready-to-drink-now Syrah Nouveau and our premium Iluma Syrah. NGERINGA Éclat NV is a blend of our Chardonnay and Pinot Noir, both of which are planted on our steep easterly facing Summit Vineyard at 380m above sea level on a delicate soil of sandy loam over red-orange clay. NGERINGA Rosé 2017 is made with Syrah from our three vineyards: Summit, Rufus and Iluma. The Summit vineyard is planted on an easterly facing slope at 380m above sea level on a soil of sandy loam over clay and with Lake Alexandrina as its backdrop. The Rufus vineyard, by contrast, is westerly facing on the opposing side of the hill with a rocky, red ironstone soil over clay. The Iluma vineyard, also on a westerly facing slope, is of a sparkling micaceous schist over clay. All of our Syrah vineyards are planted at a density of 6700 vines/ha. 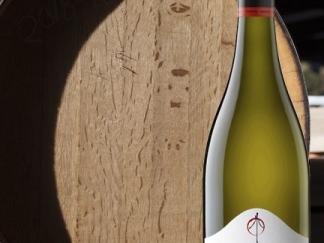 NGERINGA Chardonnay 2016 The fruit for this wine is planted on an easterly facing slope at 380m above sea level on a soil of sandy loam over clay. The top of the vineyard has views over Lake Alexandrina and the mouth of the Murray, which make themselves known on summer evenings with a strong cooling breeze despite daytime temperatures. The vines are planted at a density of 6800 vines/ha. NGERINGA Pinot Noir 2016 Grown on our steep easterly facing Summit vineyard slope at 360m above sea level on a delicate soil of sandy loam over clay. In the distance, this vineyard overlooks Lake Alexandrina and the Murray mouth, consequently receiving cooling evening breezes which do much to preserve our fruit acids and flavours through the critical weeks of ripening. 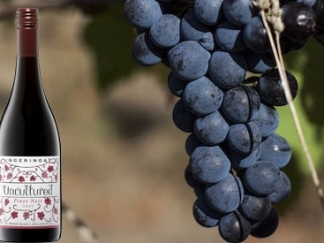 UNCULTURED Syrah Nouveau 2018, this wine hails from three parcels of Syrah, two from different portions of our Summit vineyard and one from our Iluma vineyard in Nairne, allowing us to choose the very best fruit for this upfront style. 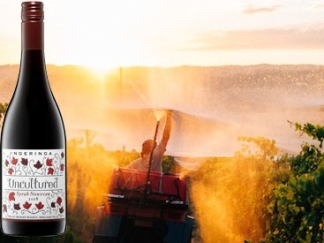 NGERINGA Syrah 2016 planted on a westerly facing slope on the immediate foothills of the Mt Barker Summit at 420m altitude, the soil of the Iluma vineyard sparkles with micaceous schist amidst a shallow sandy loam over clay. A challenging viticultural site with the potential for very distinctive wines. NGERINGA Éclat NV A non-vintage sparkling made using the ‘méthode traditionelle’ with a blend of the 2013 and 2014 vintages. 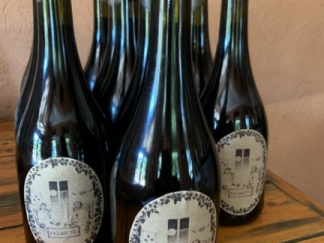 The base wine blend is made up of 50% Chardonnay and 50% Pinot Noir and was fermented using endemic yeast and aged on lees for one and two years respectively in 6 to 10 year-old French barrels and our concrete egg vessels. After final blending and tirage each bottle spent a further year on tirage lees and was disgorged in April 2018. Zero dosage to maintain a dry, crisp fresh palette. NGERINGA Rosé 2017 10% Pink Semillon fermented on skins. 90% Syrah saignée. Fermented in 100% old, seasoned French barrels. Aged for nine months in barrel on full lees. Wild fermentation, no enzymes, spontaneous malolactic fermentation, gentle extraction, warmer fermentation, minimal temperature control. No fining. Estate bottled. Small amounts of sulphites added before bottling. NGERINGA Chardonnay 2016 Whole bunch pressed directly into French oak barriques and puncheons. Natural fermentation with minimal temperature control. 100% natural malolactic fermentation. 20% new barrels. Élevage for 12 months on full lees to build texture and integrated layers of flavour. Minimal sulphur added prior to bottling. NGERINGA Pinot Noir 2016 15% whole-bunch pressed. Gentle plunging daily. 3-4 weeks on skins. Matured in 25% new French barriques. Bottled after 12 months. 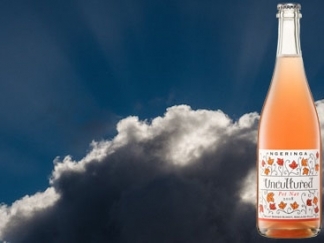 UNCULTURED Syrah Nouveau 2018 100% whole-bunch fermented; aged in older French barrels for four months; deliberately bottled with dissolved CO2 to preserve this minimal sulphured wine against oxidation. 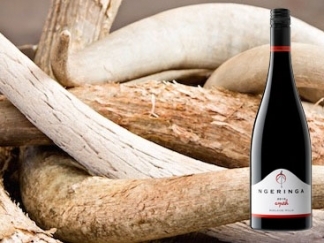 NGERINGA Syrah 2016 15% whole-bunch; 100% from our prized Iluma Vineyard; three to four weeks on skins; gentle hand and foot pigéage during the active stages of fermentation; pressed directly into 40% new-oak French barrels for two years. Wild fermentation, no enzymes, oxidative handling pre-fermentation, spontaneous malolactic fermentation, gentle extraction, warmer fermentation, minimal temperature control. No fining. Estate bottled. Small amounts of sulphites added before bottling. 2016 was a dry, hot vintage from the outset with only periodic respite. Promising rains in July and August of 2015 gave way quickly to an extremely dry spring and above-average temperatures, with essentially none of the seasonal rains we rely upon from October through much of January. On the bright side, despite conditions at flowering, we had a better-than-ever fruit set that was consistent across all varieties. And then, just as vintage was becoming visible on the horizon, the miracle came: a perfectly-timed, drenching rainstorm hit South Australia on January 21 & 22, refreshing the vines in a way irrigation just cannot match. A second significant rain event in the first few days of February ensured that the vintage was saved. The harvest was very early, beginning in the middle of February, but not nearly as early as it would have been and the fruit was thoroughly revived. 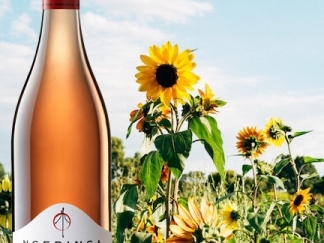 The result was higher-than-average yields, good acidity, moderate concentration and balanced, approachable wines. Winegrowing is rarely for the feint of heart! The abiding climatic feature of note at the start of the 2016/17 season was rain: the Adelaide Hills recorded its largest annual rainfall in a quarter of a century – meaning the largest our vineyards have ever seen. Notably, a third of that rain fell in July and September, saturating soils as the vines for the start of the growing season*. The result of this moisture, along with usually low temperatures, was late budburst and flowering. High levels of soil moisture and continuing rains through spring meant that our vines needed no further irrigation. Dense leaf canopies increased disease pressure for many in our region, but our biodynamically-managed vineyards remained healthy, vibrant and largely pest free, carrying a good crop to harvest. We began picking with our happy band of visiting vineyard hands about three weeks later than usual, but that long, slower-than-usual development created fine ripe tannins, good concentration and loads of flavour across all of our varieties. In sum, 2017 was a dream vintage in many respects: terrific quantity, excellent quality and an extended harvest. The winter and spring of 2017 leading up our 2018 harvest were drier and warmer than average with a relative early bud burst and flowering and not a lot of water reserves in the soil. Our vines required supplementary irrigation from first week of January to moderate vine stress due to a hot dry summer that continued right up to vintage. Our yields for most varieties were above average with Pinot Noir and Chardonnay producing at just over a kilogram per vine, while our Syrah was on average just on target with 1kg per plant. Fruit concentration was good while the acid balance was a little down due to the hot and dry conditions, especially if we compare it to 2017 which in contrast was a cool, long and slow ripening season. Finally the wines is the cellar show amazing concentration and in summary the single vineyard wines are shaping up to look like one of the better vintages to date. LIQUOR LICENSING ACT 1997, SECTION 113 – Liquor must NOT be supplied to persons under 18!